As far as we know this is the first MBE awarded for Diversity. And how does it feel to receive one? Overwhelming actually. Sharing the gilded rooms at Buckinham Palace, bedecked in Vermeers and Rembrants with a hundred or so other recipients ranging from educationalists, members of the armed forces, health experts and voluntary workers, I was feeling the breadth of passion and dedication on a national scale, last week. Emotional too, when I heard my name called out…. well you had to be there. The importance of the word we are spreading here at All Walks, is recongised further afield than our own industry. We are judging our Diversity NOW! entries for our first National Student competition and the response has been fantastic, we speak regularly at events as varied as the Cambridge Debates, V&A and a multitude of in store promotions, later we’ll be presenting at the first Diversity Network promotion in Edinburgh, we’ll also help land the second Body Confidence Awards from Parliament later this year with other members of the expert group, and create our winners reception at Graduate Fashion Week in June. We are delighted too, to be noted in Hansard – the daily minutes of proceedings in the House of Commons as Gov Minister Jo Swinson brought the House up to speed on our achievements within education. Success breeds success and the All Walks team is working harder than ever. Still on to the important stuff. Of course you want to know what I was wearing, ably reported here by the Telegraph online...(Ada Zanditon a must after her amazing London Fashion Week presentation) and see what I said later in the day on Channel 5 News. The key thing for all of us all in enjoying this accolade, is acknowledging that fashion is recognising the power it has to communicate positive messages about self esteem and personal identity. Students are excited by their power to change things and reading recent endorsements like the ones below from tutors who agree with our position on Diversity…. That is what makes it all worthwhile. Everyone on the team deserves recognition for the work they do at All Walks HQ, so in true Bafta style to the ones who have given their spare and not so spare time… THANK YOU Debra, Erin, Charlotte, Michael, Ooffi, Tineke ,Charmayne, Sheron, Lizzie and Ben. Carol Ryder, Senior Lecturer in Fashion Design, Liverpool John Moores University. The All Walks Lecture was incredible, inspirational, hard hitting and thought provoking. Those thoughts have been echoed by the lecturers who attended and the students feedback has been amazing. Everyone feels fired up about the project and the subject matter in general. Former fashion editor and co-editor of i-D Magazine for 6 years in the early eighties, Caryn Franklin has been a fashion commentator for 29 years. 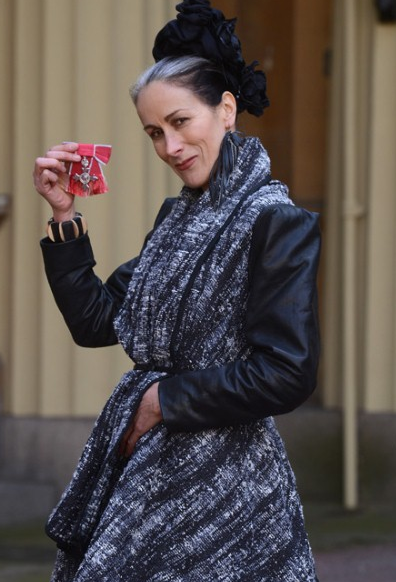 She presented the BBC’s Clothes Show for 12 years and BBC’s Style Challenge for 3 years as well as producing and presenting numerous documentaries for ITV on designers including Vivienne Westwood, Philip Treacy and Matthew Williamson. Working in education throughout her career as external assessor and lecturer in colleges like Central St Martins, London College of fashion and Royal College of Art, she is also an ardent fashion activist and has co-chaired the award winning Fashion Targets Breast Cancer for 17 years and proposed the London College of Fashion Centre of Sustainability and is its ambassador.